Parklands Library will close next month for a major upgrade and earthquake-related repairs. A mobile library will provide services during the six-month work period. Parklands Library – along with the cafe – closed at 4pm Saturday 17 November for a six-month work period. The library and cafe are scheduled to reopen in April 2019. A mobile service will be provided during the closure. The library will be strengthened and refurbished, with spaces modified to better suit the needs of users. The local community will be notified of any changes to the completion date. From 19 November, any hold items requested for pick-up at Parklands Library will instead be available at New Brighton Library. From 20 November, a mobile library vehicle will visit the Parklands Library car park three times a week on Tuesdays (10am to noon), Wednesdays (3pm to 5pm), and Saturdays (10am to 2pm). The returns bin at Parklands will be cleared each weekday. 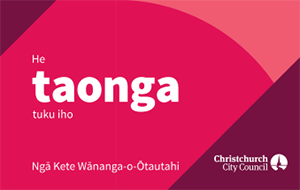 However, Christchurch City Libraries items can be returned to any Council-owned library. Library users can also visit New Brighton Library (213 Marine Parade), Shirley Library (36 Marshland Road), Linwood Library in Eastgate Mall, and Aranui Library (109 Aldershot Street). The heating and ventilation system will be replaced at Parklands Library, while energy-efficient LED fittings will be installed. Floor coverings will be replaced, computer work stations will be moved, and all areas will have a makeover.